A great location right in the centre of town, perfect location for all shops, restaurants and beach! Sea and mountain views. Easy access by lift so perfect for all ages. Free WIFI. 2 pessoas acharam esta avaliação útil. I had the pleasure of staying here last year and was so glad we chose this studio apartment. It is small but has absolutely everything you need. It is very centrally located for bars and restaurants and moments from the sea. Diane and Clive are fantastic hosts and were very knowledgeable on the area. They were able to suggest several outings and recommend local bars. I look forward to my next stay. Thank you. 4 pessoas acharam esta avaliação útil. Great hosts really welcoming and great local knowledge. 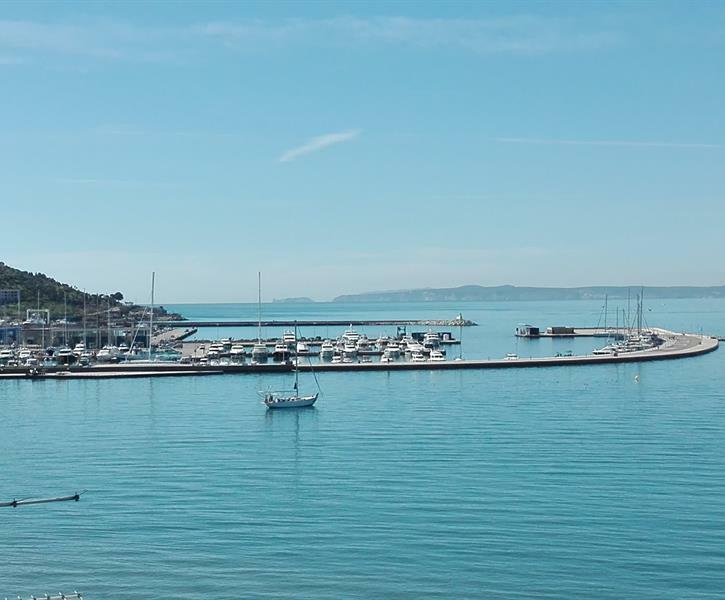 Apartment brilliantly located with views over the port, Castle and side view to the beach which is just a 2 mins walk. Lift access to the apartment so no lugging suitcases or beach toys up and down stairs. Close to bars and restaurants but surprisingly quiet at night. Beds really comfortable. I slept on the sofa bed and slept like a baby. Stayed mid September and would definitely stay there again next time I'm in that area. Je vous conseille ce logement qui est vraiment bien situé dans le centre ville de Roses avec une vue imprenable sur la mer et le port de Roses!! Appartement bien équipé et propriétaire très gentille! The place is very nice with everything you need with very flexible and helpful Hosts. All New furnitures, Lift and a Shop at the entrance of the building In the north center of Roses directly at the Beach and possibility for free and secure longtime parking a few minutes away. As it is very central, it is a little bit noisy in the evening but you hear the lovely sea during the night.